Come Dance, Drink and Dine on Valentines! Doors open at 7pm for dinner. $15.00 advance tickets for the live entertainment. Showtime starts at 9:30pm. 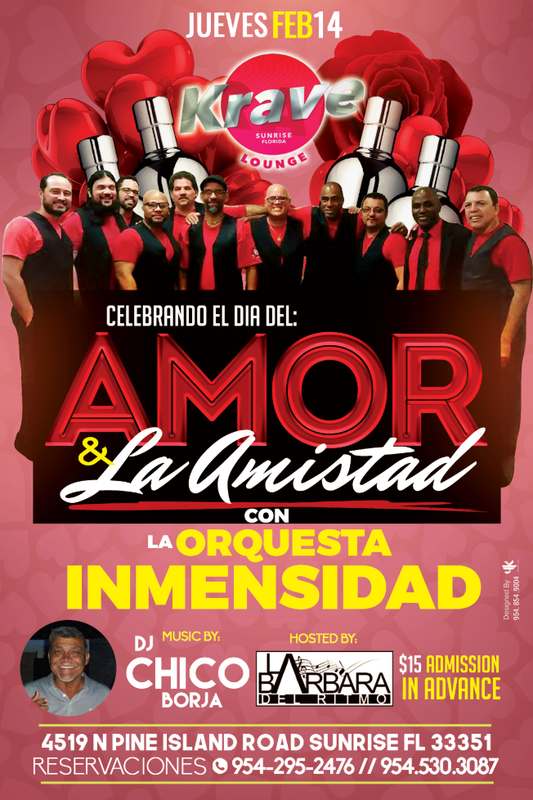 Please make your reservations by contacting La Barbara del Ritmo via email [email protected] or 954-295-2476. Let's make this a magical evening!